More than 50 people have died in Ukraine after drinking counterfeit alcohol, while more than 100 cases of poisoning have now been registered. The deaths occurred in eastern, southern and northern regions of Ukraine, the State Service for Food Safety and Consumer Protection said in a statement. The case is the latest in a string of incidents in which fake alcohol has led to a high number of deaths, including reports from Indonesia, Russia, Turkey and the Czech Republic, amongst others. 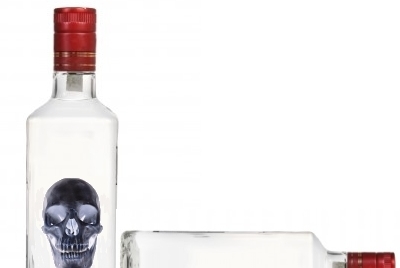 A preliminary investigation found the fake alcohol to be vodka mixed with methyl alcohol, which was being made in the eastern Kharkov region and then sold in small grocery shops for about $1 (under the minimum retail price) for a half litre bottle. The mass alcohol poisoning began around 22 September and authorities fear the numbers could increase as Christmas and the festive season get closer and demand surges. There are also concerns that fake Cognac, Champagne and whiskey may be entering the market through small pubs and stalls and via the Internet. The rise in counterfeit alcohol in Ukraine follows the rise in excise tax on alcohol, coupled with falling household incomes. The fake alcohol can be significantly cheaper, making it more attractive; and with demand comes burgeoning profits for the counterfeiters. Reports from last year suggest as many as 10,000 Ukrainians are killed each year from counterfeit alcohol poisoning. The Ukrainian association of alcohol makers claim that about 50 per cent of the alcohol available in the country is fake. Vodka is the most commonly counterfeited alcohol. In the current case, it was mixed with methyl alcohol, also known as methanol. This is a colourless liquid used as an industrial alcohol and is commonly found in antifreeze and paint thinner. When consumed it can cause breathing and vision problems, abdominal pain, nausea, and kidney failure. It also affects the nervous system, causing comas and seizures. The government and authorities are working to combat the growing problem of counterfeit alcohol. Since the start of the year, about 2 million litres of alcohol and counterfeit alcohol has been seized, with a value of around 216m Ukrainian Hryvnia ($8.4m), while 112 illegal alcohol operations have been suspended, up from 95 last year. “The underground production of alcohol not only primarily harms the health of consumers but also the reputation of legitimate manufacturers and causes damage to the budget," said Sergey Bilan, deputy chairman of the State Fiscal Service, in a recent press briefing. Eleven people have been detained for their involvement in the illegal manufacture and distribution of counterfeit alcohol, Bilan said.